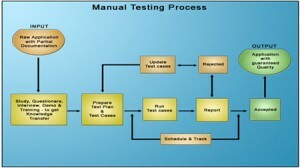 At Paradigm Manual testing starts with careful planning of the test process and test cases. In simple terms, manual testing can be defined as developing and executing tests that rely primarily on direct human interaction throughout the entire test cycle, especially in terms of evaluating correctness and ascertaining test status. Manual testing can include the use of tools to track and monitor the defects. Highly developed and specialized testing practices including exploratory testing, coupled with domain specific knowledge. Experience of working with the industry leaders in delivering value through our domain knowledge, building blocks, cost advantage and on-schedule project management.